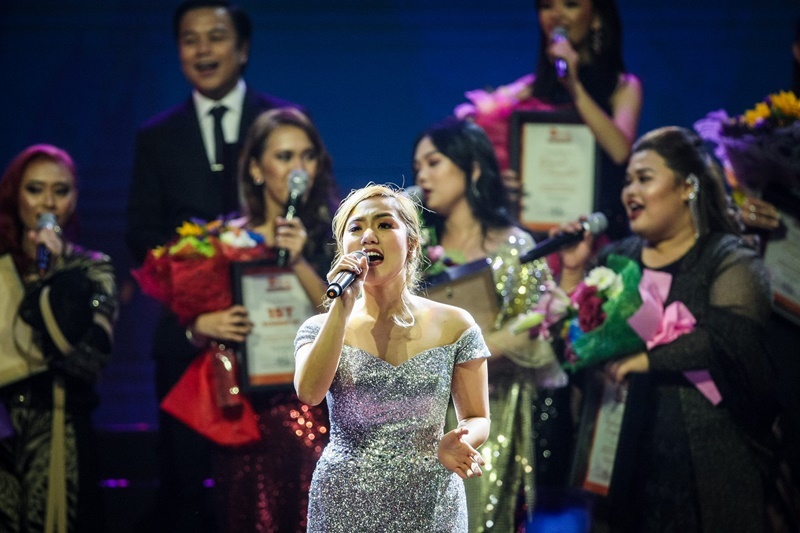 A month after her hingang malalim moment at the Big Dome, Wishcovery Season 2 Grand Champion Rhea Basco of Camp Jungee Marcelo is now gearing up for a busy year — and an even busier music career — ahead. After witnessing her riveting performance at the Dubai World Trade Center Arena last March 22 during the “Supreme: KZ Tandingan” concert, let’s delve deep into her life’s interesting facts and get to know her better. We’ve listed down eight fascinating things about our 23-year-old singing dentist that will make you realize just how awesome this Wishcovery champ truly is! 1. She’s in love with Zac Efron. Rhea recalls her days as a fifth grader — a time when her whole class was hooked on the Disney film “High School Musical.” Like almost all of her classmates, she was a fangirl of the sought-after American actor. 2. She finds Patti Page’s “I Went to Your Wedding” to be the most sentimental song ever. Whenever Patti Page’s heartrending track “I Went to Your Wedding” hits the radio, the clock stops for Rhea and sends her back to the days she used to sing it on the videoke with her lola. She couldn’t hold her tears every time she remembers how much her grandmother pushed her to pursue her passion for singing at a tender age. When asked about her dream wedding setup, she envisions herself walking the down the aisle with the love of her life in a traditional church ceremony, while her favorite band Side A’s “Forevermore” is on play. 3. If she didn’t pursue a dentistry degree, she would probably take up a course in music. 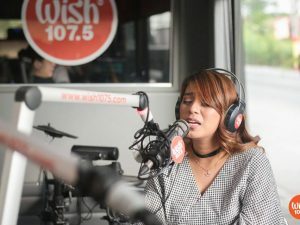 Rhea revealed that her original course choice for college is music education. After graduating from high school, she applied for music conservatory slot and had already paid for the fee, but was not able to attend and take the entrance examination on her scheduled date. And because she also wanted to be a doctor, she decided to take up dentistry instead. She still can’t believe that she’s just one month away from her graduation at the Centro Escolar University Makati’s School of Dentistry. She is the third child and the primary musically-inclined member of the family. Her older sister, who is an army officer, also dabbles into business and art-making. Her older brother is a merchant marine officer and a sports lover. Her younger brother, who is a member of their school’s chorale, has a huge interest in gaming and songwriting. 4. Her ultimate dream? To be a mermaid. Rhea has always felt like a real mermaid — curiously navigating in deep waters to explore the shore of possibilities up above. She definitely misses the moments when she used to watch “The Little Mermaid” films on VHS. During a school play, she got the chance to play Ariel and become a mermaid for a day. She has also a collection of various mermaid merchandise. 5. She’s a certified KPop fan! If not heard belting out to the popular diva tracks, she can be found inside her room, reading anatomy textbooks or just enjoying some K-Pop music while dancing around like no one’s watching. The former cheerleader revealed that she’s fond of watching K-Drama too! Her well-loved among her watchlist is the highest-rated fantasy-romance series “Goblin.” She also admits that she loves Korean cuisine — the eat-all-you-can grilled pork and beef Samgyeopsal tops her regular cravings. 6. Her secret singing regimen includes apples. She’s definitely the apple of everyone’s eye because of her charisma and vocal brilliance. But to be able to pull off a nice take on the songs she has chosen, she shared that her camp coach Jungee Marcelo’s tip for her is to eat an apple an hour before she performs. Rhea attests that it soothes and helps her throat not to be too dry. But aside from that healthy and delicious trick, the most important lesson she has learned from the music veteran is to know how to appreciate the wonder of her voice. Ever the pessimist, Rhea admits that she always struggles with self-doubts after every performance. Marcelo’s “Hingang Malalim” has taught her to always take a deep breath, trust the gift that she was given, and give it her best. 7. She can’t live without her fur babies. Yes, almost as much as she couldn’t live without her favorite lip tint! Aside from music, makeup is her artform of choice. The singing pet-lover, who usually dresses up in comfy and casual clothing like culotte pants, cropped graphic tops, and ballet flats, can easily and proudly glam herself up for gigs and guestings. And after finishing her casual-chic look with her favorite shade of lip tint, she makes sure that she has fed all of her dogs before leaving the house. Her three babies include — her beloved eldest dog named Abree, her adorable black dog aptly called Cola, and her khaki-colored Chihuahua dubbed Royal. 8. She wishes to remake her “Akin Ka Na Lang” viral video. She can’t contain her excitement whenever she hears the name of her long-time singing idol Morissette. According to her, she’s excited to see and talk to the Filipina power belter in person. 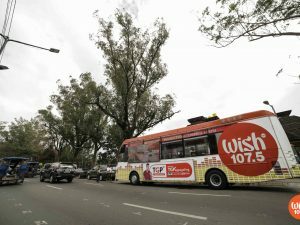 After winning the Wishcovery Season 2 championship tilt, she wants to check off another item from her career wishlist — and that this is to do a musical collaboration of the viral track “Akin Ka na Lang” with the Asia’s Pheonix inside the iconic Wish Bus. Rhea Basco will be joining KZ Tandingan, TJ Monterde, and Jason Dy for the Davao edition of the “Supreme: KZ Tandingan” concert. Catch her performance at the SMX Convention Center Davao, on March 28, 2019, at 8 p.m. PHT. For ticket inquiries, visit https://smtickets.com/ or go to SMX Convention Center Lanang. 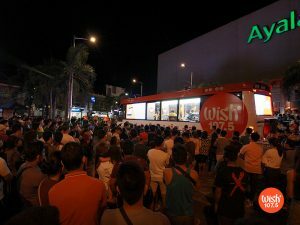 This event is brought to you by Wish 107.5.